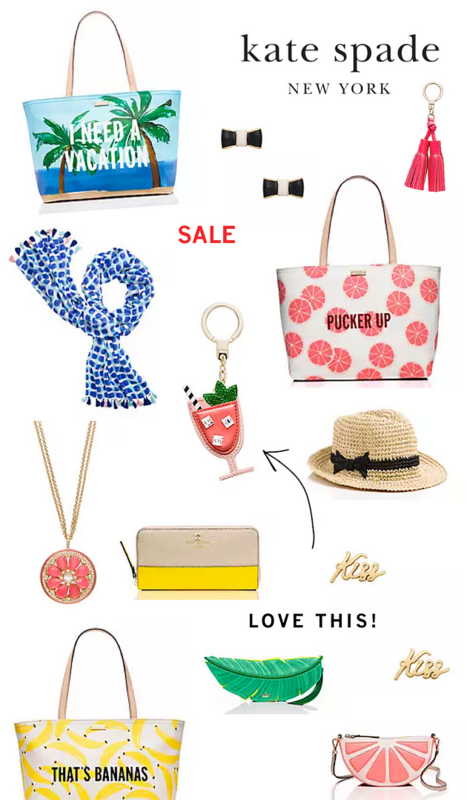 50%+ off at kate spade new york - Shop the sale! Just popping in to let you all know that the Summer Sale Event is going on over at kate spade new york! Enjoy 50%+ off when you shop the sale section at kate spade! But you'll want to go quick because these offers end soon! To access the sale click here! And don't forget to join their mailing list for an additional 15% off your order. Here's some of my faves. 2 Comments " 50%+ off at kate spade new york - Shop the sale! "